Dear Reader, We are professional manufacturers of high quality Masonic Regalia Aprons. ..
Dear Reader, We are professional manufacturers of high quality Masonic Regalia Cuffs. 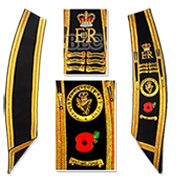 ..
Dear Reader, We are professional manufacturers of high quality Masonic Regalia Aprons a..
Dear Reader, We are professional manufacturers of high quality Masonic Regalia Apro..